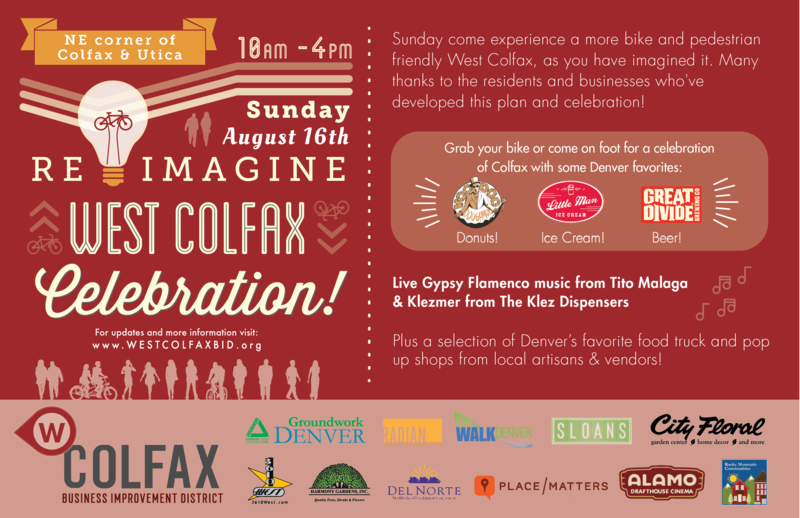 For six hours this Sunday, part of West Colfax Avenue will be transformed from a four-lane, car-heavy thoroughfare into a three-lane complete street for people. It’ll be a temporary road diet (built with temporary materials) that demonstrates how simple street design can have an outsize effect on a neighborhood’s safety and sense of place. 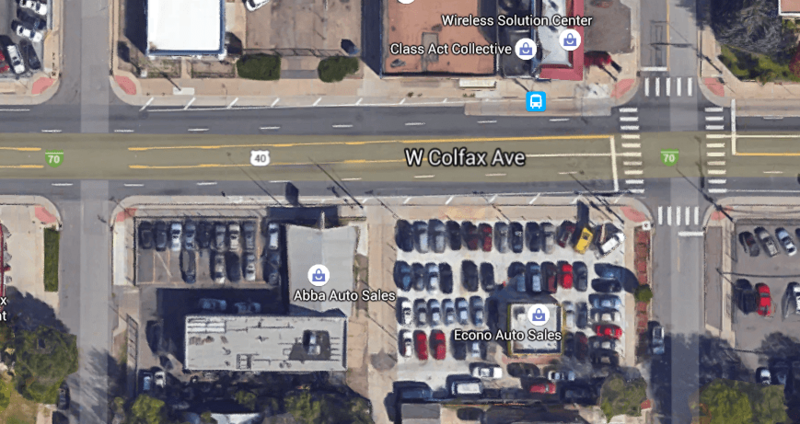 Streetsblog Denver covered the demonstration, dubbed “Re-Imagine West Colfax,” last month as the West Colfax Business Improvement District, WalkDenver, and several design firms planned it. Now it’s almost here, and organizers want to get the word out. 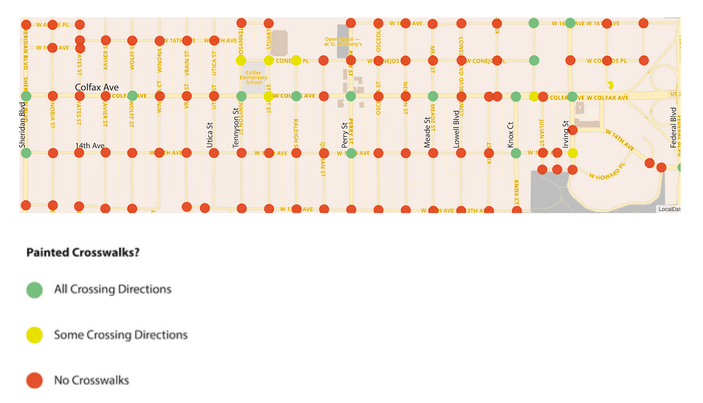 Demos like Re-imagine West Colfax are some of the best tools advocates have to show Mayor Michael Hancock and other decision makers that complete streets must be funded and implemented — not only to keep people safer but to build better communities. So head down to Colfax and Utica to experience the demo for yourself. The event runs from 10 a.m. to 4 p.m. Organizers needs volunteers, so sign up here if you can help.